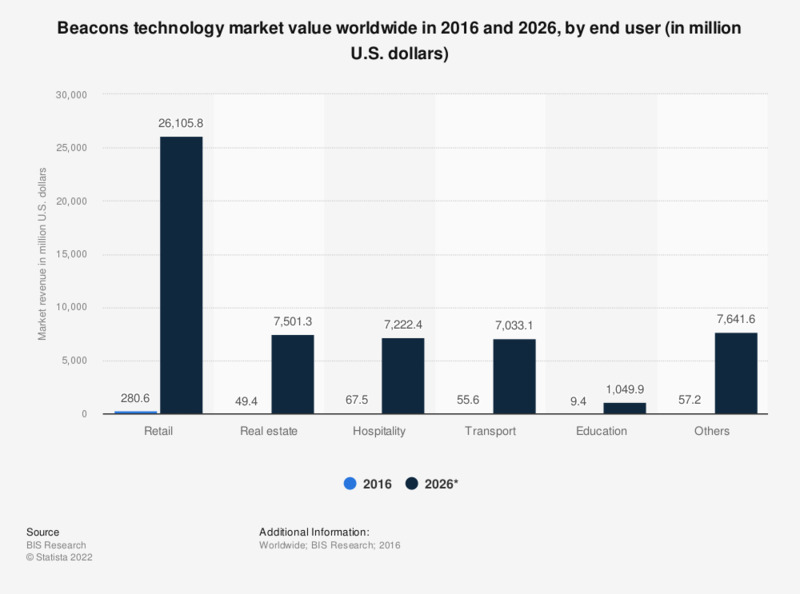 This statistic presents the global market value of beacons technology in 2016 and 2026, by end user application. In 2016, the beacons technology's application in the retail industry was worth 280.6 million U.S. dollars. Commercial segment: Unit price of GPS equipment sold in the U.S.